Far Cry 5 has been officially released and Nvidia has supplied a Game Ready driver for the latest installment of the famous Ubisoft series. The game has received a number of positive reviews already, even though it has courted controversy with its themes. The first-person shooter is available for PC, PlayStation 4 and Xbox One. Ubisoft has enjoyed considerable success with the Far Cry series; seven million copies of Far Cry 4 were shipped within two months of its release. The latest addition to the franchise, Far Cry 5, has been in development for a considerable amount of time and features a character creator, free map editor, and a recruitment system for getting help during game progress. Nvidia has released a new Game Ready GeForce driver (391.35) for gamers to get the best performance out of the latest Ubisoft title. The full patch contains bug fixes, security updates, and game enhancements. 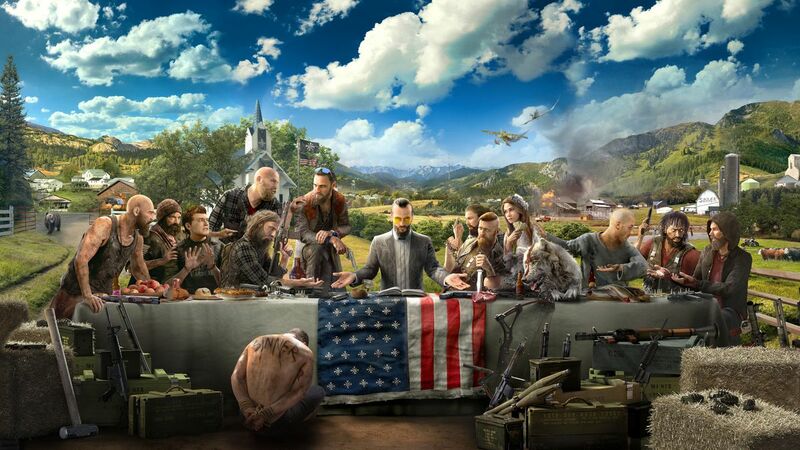 The game’s setting has created some controversy: It is set in the fictional Hope County, Montana and is based on an armed religious-separatism theme. The player is given the role of a sheriff’s deputy who has to find a way of taking down a group of fanatics, led by the enigmatic preacher Joseph Seed, before the whole county is taken over by the Project at Eden’s Gate cult. Notebookcheck already reported on the system requirements for playing the game at a decent fps rate. You can find a full list of minimum and recommended hardware requirements for Far Cry 5 at Ubisoft’s support website.